So while a $13,000 roof might be high, understood that your roofer has a good reason. There is a lot of time, effort and equipment involved in keeping your roof up to snuff. 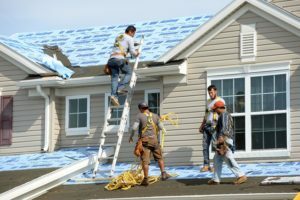 What is outlined in this cost guide are some more in-depth prices to give you a more realistic sense of professional roof installation costs and what’s involved in the process. Always be sure to get quotes from at least 3 to 4 roofers so you get a good range that’s within $2,000 – $3,000. Never take the lowball bid! When it’s near the end of its service life. Most roofs last for 20 to 25 years. If yours is near this age, have it inspected. Factors such as maintenance, material, ventilation and any previous repair or replacement can affect the life of your roof. When you want to improve your home’s curb appeal. You can recoup around 50 percent of your investment for a new roof that complements your home’s architectural style. Loose or missing shingles –Keep a spare box of shingles handy to replace missing or damaged shingles. Gently pry up the overlapping shingles and nail the replacements down. Dripping ceiling — As long as there is no mold and your timbers aren’t warping or breaking, this is a deceptively easy repair. If it’s only just started, everything should dry out on its own. If it’s been leaking for a while, you’ll want to have a professional inspect and repair it. Sagging gutters — As rain gutters age and get loaded with debris, the mounts that support them can fail and cause the gutter lengths to sag. Some people just drill holes in the gutter to drain them, but this is worse than taking no action at all. To eliminate the problem, replace the sagging section of gutter or re-secure the mounts. Keep your gutters clean of debris to prevent the problem from recurring. Damaged soffits — Soffited gables, eaves, and overhangs are very susceptible to damage from ice dams, poor flashing, and damaged shingles. If you notice insects and other pests gathering around your soffits, call an exterminator even if you don’t see the nest. Ice dams should be removed as soon as it’s safe to do so to keep melted ice and snow from pooling on your roof. Flashing — Flashing around chimneys, vents and skylights can sustain damage during a wind storm, especially if the sealer fails. Just like shingles, flashing requires inspection after a big wind storm. 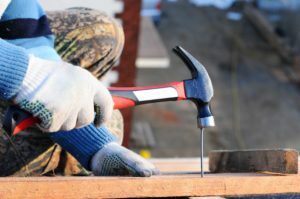 Expansion and contraction from swings in the weather can also cause flashing to become loose, so if you live in an area where you experience hot summers and cold winters, regular inspection of the flashing will save you money. Colonial: has a few slopes but isn’t too hard to roof. Tudor: Has many slopes, eaves and can be problematic to roof, so it’s very expensive in comparison to other types. We simplify the storm damage repair process. We use the primary insurance industry database for our quotes, which is integrated right in with your insurance company’s estimating program. We also deal with insurance forms daily, so it’s no problem for us to walk you through the entire insurance process and help you file your claim. Thorough documentation of your storm damage – Our techs are proficient in storm roof & siding inspections and damage repairs, so you can be assured that we will thoroughly document all the related storm damage for your insurance claim. At Advanced Contractors MN of the Twin Cities, you can trust that you’ll have the best roofing in no time! Contact us today for your free proposal. We provide quality roofing services, including roof repair, roof replacement and installation in Minneapolis, Saint Paul, Woodbury, and the surrounding areas of Minnesota! These shingles are the most popular type of roofing for sloped roofs because they’re affordable, easy to install, durable, and available in a wide variety of colors. Premium grades of “laminated” asphalt fiberglass shingles are typically warrantied for 50 years. The stadium had a fiberglass fabric roof that was self-supported by air pressure and was the third major sports facility to have this feature (the first two being the Pontiac Silverdome and the Carrier Dome). The Metrodome was similar in design to the former RCA Dome and to BC Place before that stadium was reconfigured with a retractable roof. The Metrodome was reputedly the inspiration for the Tokyo Dome in Tokyo, Japan. The stadium was the only facility to have hosted a Super Bowl (1992), World Series (1987, 1991), MLB All-Star Game (1985) and NCAA Division I Basketball Final Four (1992, 2001).